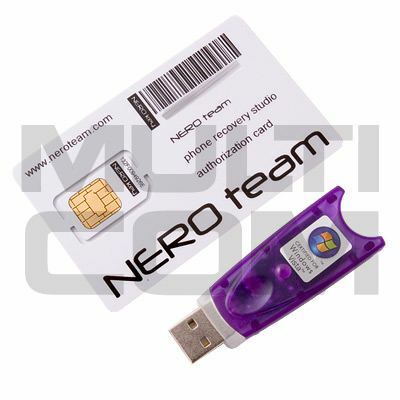 NEROteam Recovery Studio USB Key it's leatest solution for SonyEricsson phones to unlock them, flash and repair withtout any Internet connection and logs - simple and fast ! 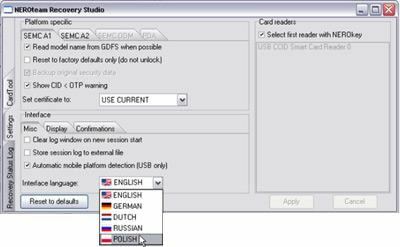 From right now you don't need to have any knowledge abotu unlocking and repairing - just press START and that's all. All Standalone - NO MORE LOGS AND SERVER PROBLEMS. - Offline (not need server) permanent unlock and repair for SonyEricsson phones - WITHOUT INTERNET AND LOGS ! 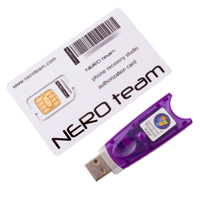 - Recovery any red/white blinking phone - WITHOUT INTERNET AND LOGS ! - Restore EROM/SEMCBOOT - WITHOUT INTERNET AND LOGS ! - Security area rebuild - WITHOUT INTERNET AND LOGS ! - Remove usercode lock - WITHOUT INTERNET AND LOGS ! - Any possible CID/Color conversion - WITHOUT INTERNET AND LOGS ! SonyEricsson SEMC tryb A1 - bez logów i Internetu ! SonyEricsson SEMC tryb A2 - bez logów i Internetu !